“There is a need for a teachers’ house in my school,” said nine-year old Selina Josophati. Selina, a second grade student at the government-run primary school in the Mchinji district of Malawi, is afraid that without a place to live, all the teachers in her school might leave town, shattering her dreams to continue studying and join secondary school. Selina wants to become a teacher when she grows up. 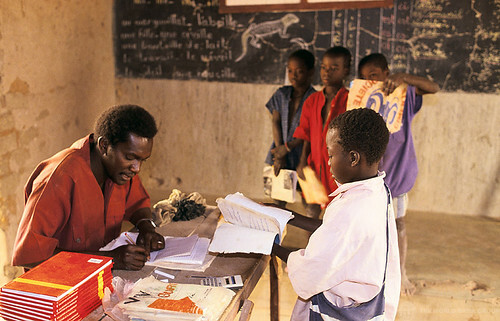 The last two decades have seen a profound change in participation in education in sub-Saharan Africa. Enrollment in primary education has grown rapidly, there are now more children in school in Africa than at any other time in history, and most African children now enroll in school at some point. This remarkable achievement has involved increases in the number of teachers and placed national systems for teacher provision and management under increased stress. Countries have struggled to recruit sufficient qualified teachers, to deploy them to where they are needed, and to provide the management and support structures to ensure that quality education is delivered.